Polyvinyl Record Co. and Big Scary Monsters Recording Co.
American Football originally existed for only a year from 1998 – 1999, breaking up after the release of their self-titled debut. The record merged inventive guitar playing with raw and emotional lyrics, providing the blueprint for emo’s takeover of mainstream and underground rock music in the early 2000s. The record also served as an influence for the spread of technically accomplished emo and math-rock bands of the current era. 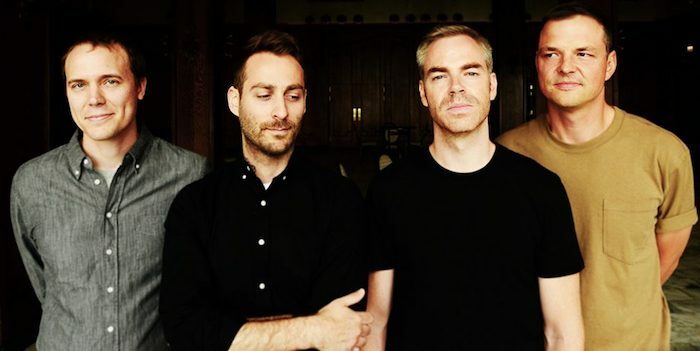 American Football reunited a few years ago and the result was a brand new self-titled record, and now the four-piece is back with their third album, yet another self-titled release. The band has expanded their sound this time around, focusing on varying styles of instrumentation and not rely on recycling old ideas. Indeed, anyone who is looking for the old American Football sound is bound to be a bit disappointed. Using the interlocking guitars of Steve Holmes and Mike Kinsella as a base, the band has really developed a new sound, one that builds upon the past without being a slave to it. Take the opening track, the gorgeous “Silhouettes.” Opening with some tuneful glockenspiel, the song has an uplifting beauty to it, with the cascading guitar arpeggios working in tandem with Nate Kinsella’s thundering bass. The additional instrumentation helps the song stand out and feel unique. All of that, coupled with some snappy drum work from Steve Lamos, makes for a gripping and compelling piece of music. 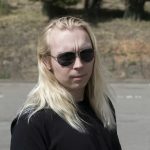 Another big change on this album is the inclusion of guest vocalists on three tracks. This was a shrewd move by the band as each singer provides a different kind of energy, especially on the standout track “Uncomfortably Numb.” Featuring Hayley Williams of Paramore, the song is a winding piece of confessional emo and gentle post-rock. Anchored by a catchy bit of guitar harmonics, the song features some of Mike Kinsella’s most brilliant lyrics on the entire album, and Williams does a great job of making her vocal lines stand out. There is a raw emotional intimacy to Kinsella’s lyrics that really leaves a mark on the listener. Again, this record is not about rehashing the past, but coming to grips with it and moving on, both in terms of the lyrical and musical direction on the record. The arrangements are solid and the crisp production work of Jake Cupp helps each instrument stand out. Of course, it wouldn’t be an American Football album unless there was some killer trumpet playing from drummer Steve Lamos, giving an interesting dimension to the record that most other groups can’t match. 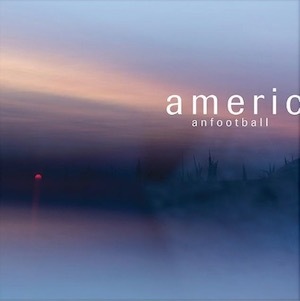 In many ways, this American Football record is just as important as anything the band has previously done, simply for the fact that they have succeeded in updating and expanding their sound. As the original fans of emo have grown in matured over the years, so has the music, and while American Football may not bristle with the same kind of youthful angst as twenty years ago, this album is still a great collection of songs that capture a moment in time. While this concept of “middle-aged emo” may seem ridiculous to some, it just feels like the way to describe the band’s current evolution and sound. With their 3rd self-titled album, American Football has proven they are a vital and creative force that should be listened to.